Grab some coffee at Espressamente Illy before heading to the airport. You won't have another cup this good until your next visit. 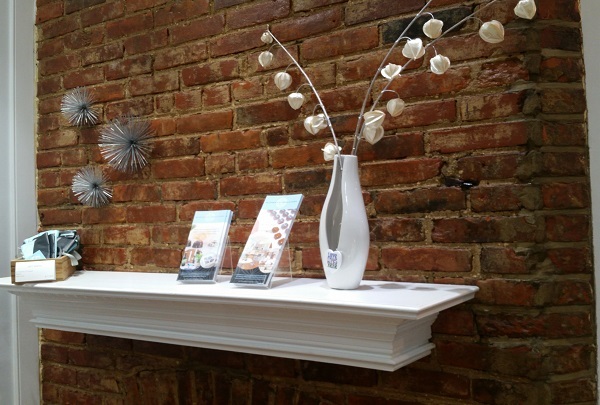 From the impeccable service you’d expect from Renaissance, to the subtle yet stylish interior, nothing here is left to chance at our Washington, DC area hotel. We’re equally proud of the delicious coffee served up at the Espressamente Illy Café. We’re also the ideal place to do business, with ample meeting space and being situated just a few minutes from a plethora of big businesses (not to mention Reagan National Airport). If you have time to spare, ask local Navigator David how to get the most out of the beautiful 35-mile Mount Vernon Trail. Take in historic fine art, ample outdoor space and stunning architectural features in the Dumbarton Oaks museum and gardens complex. 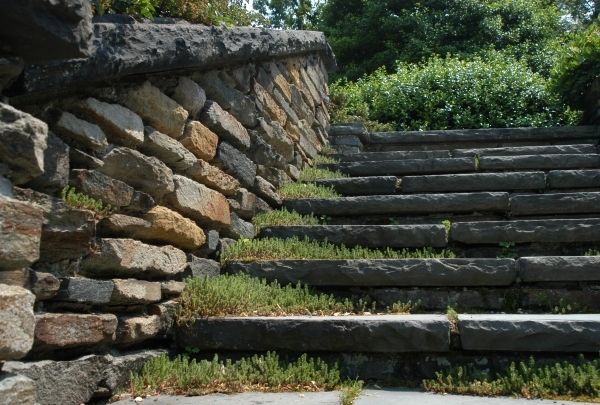 Dumbarton Oaks is a stunning, sprawling museum and garden complex offering a wealth of treasures ranging from fine arts to sculpture to decor and more. Visitors to this august institution are free to peruse artwork from the likes of El Greco, as well as a large collection of ancient pieces from around the world. First erected in 1901, the house was the site of lavish parties held by Robert Bliss and his wife Mildred. Ornate fountains, serpentine footpaths and manicured lawns are abundant in the back portion of the estate. No need for a shopping trip to Ireland. This Irish gem in Old Town Alexandria offers most anything and everything Irish. The Irish Walk has been part of the community for over 45 years and tries to bring a little slice of Ireland to Old Town Alexandria. 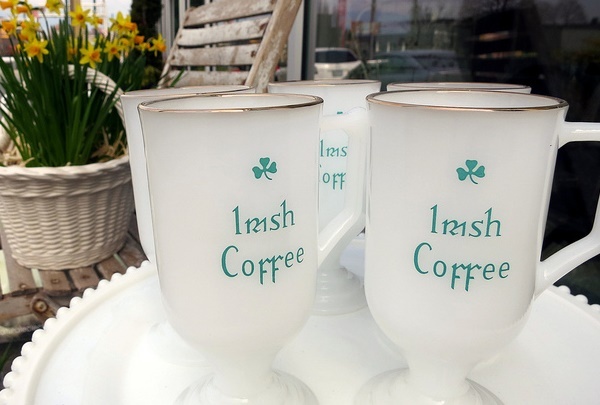 What makes it such a treasure is that it is stocked with authentic Irish merchandise that has been personally selected by the owners while on vacation/buying trips to Ireland every year. Everything is pure Ireland, from Avoca capes and mohair throws to Celtic ties. Chef Teresa Keefer focuses on southern dishes like a breaded and deep fried oyster po’boy or Caroline pulled pork. Northside 10 is located in the quaint neighborhood of Del Ray and had big shoes to fill by replacing 50-years old, French restaurant Chez Andreea. 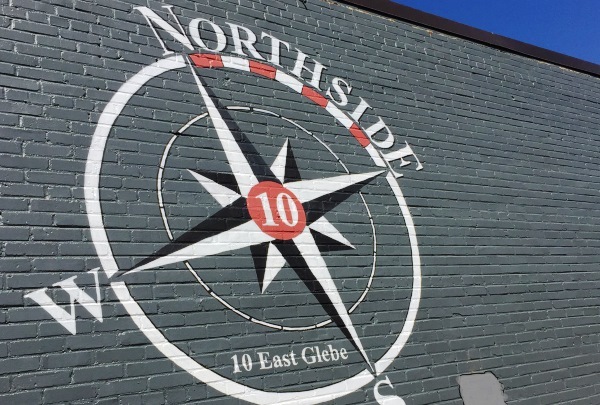 Northside 10's atmosphere is designed for families. The menu has decidedly southern roots with many items are favorites of their sister restaurant, Southside 815 in Old Town Alexandria. Stop in to sample wine tastes in a casual, relaxed setting not unlike the tasting room of a Northern California winery. The owners welcome each guest into this pre-revolutionary house turned wine tasting room for a truly unique experience. Most restaurants have you choose an entrée and then pair it with a wine. Here you can taste several wines and they will pair your favorite wine with one of their delightful menu items. On warmer days, relax in their backyard which channels a small, rural California wine garden. This island in the Potomac River, named after our 26th President, is a wildlife refuge with beautiful winding trails. Less than a mile from the Rossyln Metro station, you can escape the bustling city and take in the wooded surroundings of this 90-acre island in the middle of the Potomac River. This serene nature sanctuary is home to a great variety of birds of woodland, wetland and water habitats. Its peaceful trails fit the image of Teddy Roosevelt, the outdoorsman, for which this island is named. 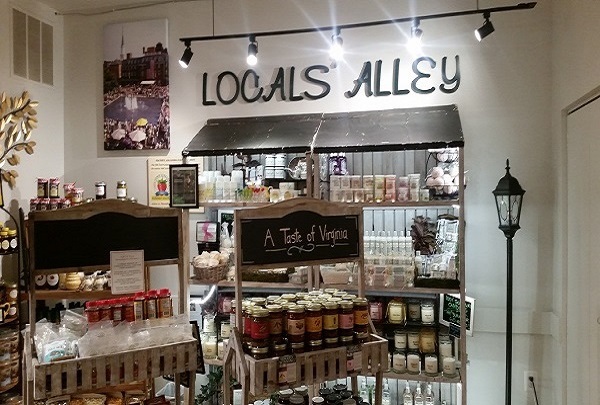 Enjoy an organic shop owned locally by a career chef & certified sommelier who comes up with playfully unique flavors. The shop's decor is a eclectic, curious, intriguing, and almost fairytale-like. 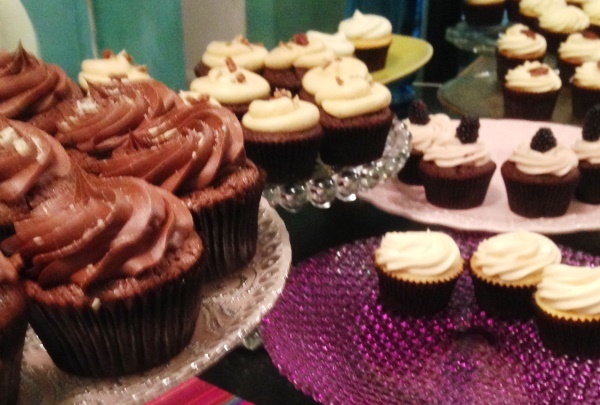 The unique cupcakes are baked fresh daily, only in small batches using natural ingredients and lower sugar recipes. 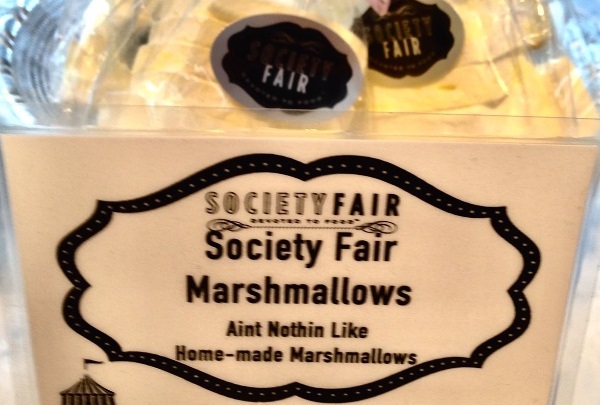 They are then displayed in glass cases on a variety of cake pedestals that makes it seem as if you’ve just walked into your eccentric aunt’s cottage home rather than a bakery. Sip on southern Virginia moonshine at this rustic tavern. Specializing in farm-to-table dining, the menu is full of flavorful surprises. 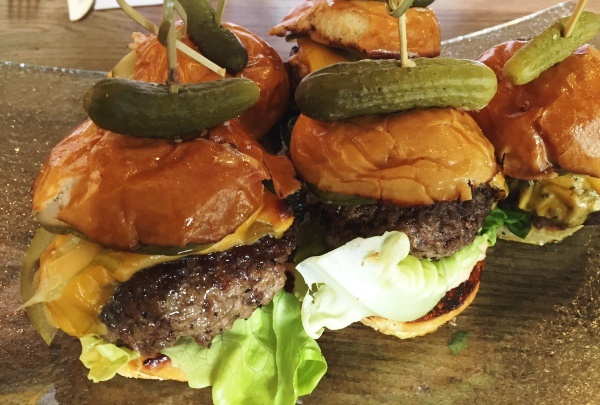 The perfect spot for anyone looking for an ethical meal that doesn't skimp on flavor or presentation, the Copperwood Tavern is Arlington's premier farm-to-table dining experience. This rustic, cabin-style restaurant boasts a delicious menu featuring fresh, local cuisine. Settle in to the dining room for a full meal, or just swing by the bar, where there are 30 beers on tap alongside a huge selection of local moonshine. Stop by for their daily happy hour Monday-Friday for special deals on oysters, beer, wine, and cocktails. And don't forget to bring fido along, as the patio at Copperwood is dog-friendly. 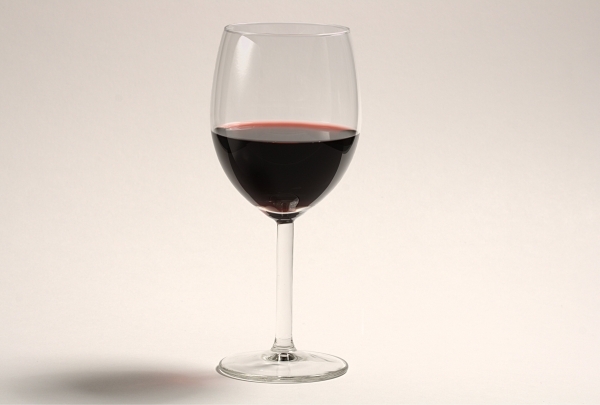 Embrace the oenophile in you with their globe-spanning wine selection and know-how. Indulge in tastings for decadent gourmet pairings. 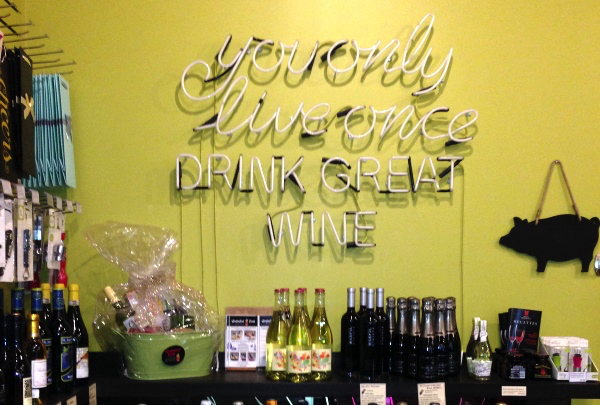 Crystal City Wine Shop is a must-visit for oenophiles and beer aficionados in the city. Its inventory features an unrivaled selection of wine, cider, craft beer and micro brews sourced exclusively from small producers across the world. Peruse their shelves for gourmet food items, sauces, spreads and preserves, ice-cream, sorbets and frozen yogurt pints as well. Their friendly staff show you around and make great recommendations on pairings and consultations for your private celebrations. Attend their weekly tastings for an epicurious experience. This retro bar tucked behind Vola’s Dockside Grill in Old Town is the perfect place to relax after a day of touring. 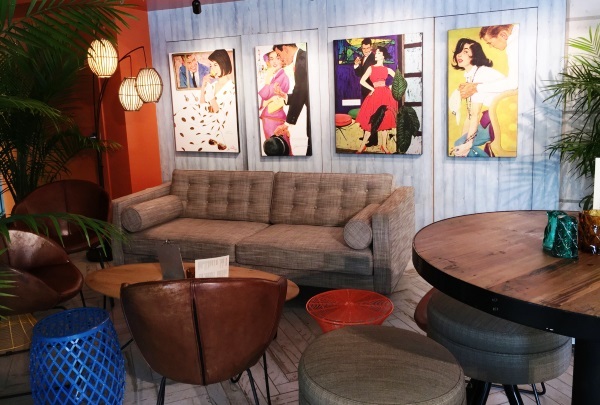 This retro-cool lounge is named after Vola Lawson, a much-loved, iconic civic leader and first female city manager of Alexandria, as well as the markers which mimic the Potomac’s high-tide marks found on the building outside. Comfy furniture and 1960’s era vintage posters and album cover art create the mood while the bar capitalizes on the current tiki craze with drinks like the High-Thai Twizzle. This cozy dessert lounge features live music on Thursdays, a vintage rustic vibe, and an amazing array of fresh hand-made artisan gelato. Settle into one of the many nooks here and savor a cup of Stumptown coffee or a scoop of velvety gelato. 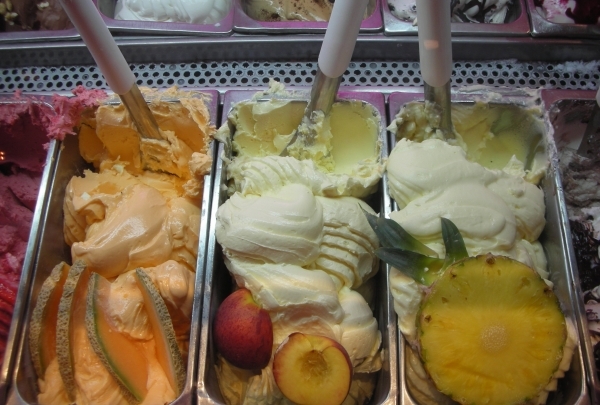 From classics like pistachio and toasted almond to more unusual tropical flavors like lucuma, papaya, pineapple basil and Inca sorbet, there is something for everyone here. Stop by during happy hour for an afterwork snack. Find those Jimmy Choo shoes or that Gucci bag you've had your eye on at a fraction of the original price at this designer discount store. Mint Condition is an award-winning consignment boutique that prides itself on stocking some of the most sought-after labels from famous designers. 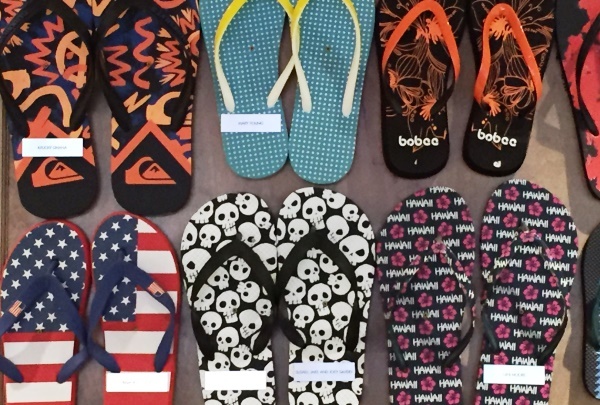 If you have a passion for fashion, but also love a good bargain, this is the shop for you. 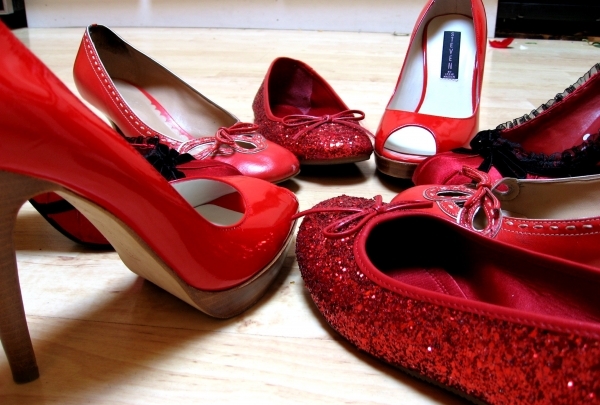 Shoes, handbags, jewelry, formal and casual wear are available here. No item of clothing or accessory is more than two-years old, keeping the items for sale modern and of high quality. Some best-selling labels include Bottega Veneta, Burberry, Christian Louboutin, Hermes, Tiffany & Co. and Louis Vuitton. The carefully-curated selection is constantly updated, ensuring there is always something new to discover. 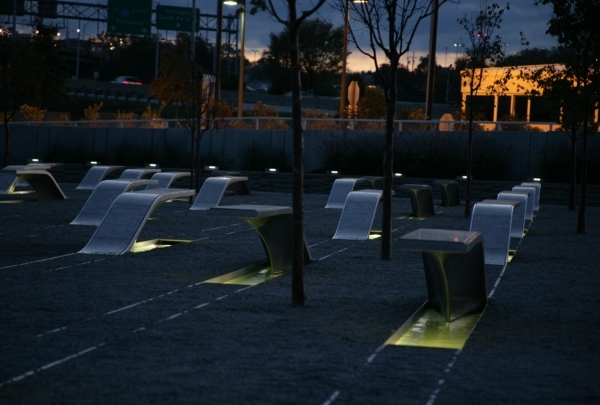 This memorial consisting of 184 benches is dedicated to the 184 victims of the 9/11 attacks on the Pentagon. On September 11, 2001, 184 people were killed in the attacks on the Pentagon. The Pentagon 9/11 Memorial was built to remember those who lost their lives in that tragic event. Located adjacent to the Pentagon, this beautiful tribute was dedicated on September 11, 2008 and features benches engraved with the names of the victims. The benches sit above reflection pools and light up from below at night, creating a serene landscape. Discover handcrafted silver jewelry and unique pieces designed by over 30 artists from around the world at this Old Town boutique. From handmade necklaces to edgy contemporary bracelets made with a combination of sterling silver and precious stones like turquoise, diamond, and onyx, the collection at this boutique is truly diverse. An uncompromising commitment to quality and an eye for the unique ensures that not only will you find something to suit your taste, but also to hand down to the next generation. 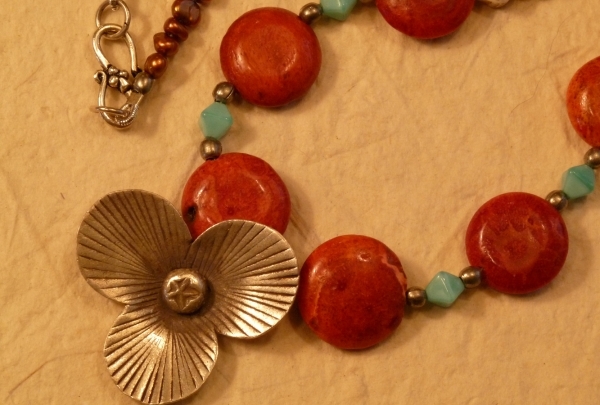 The hand-picked jewelry collection features works from designers from countries like Indonesia, India, Turkey, China, Mexico and the United States. Step into this eclectic store and find that statement piece you've been searching for. 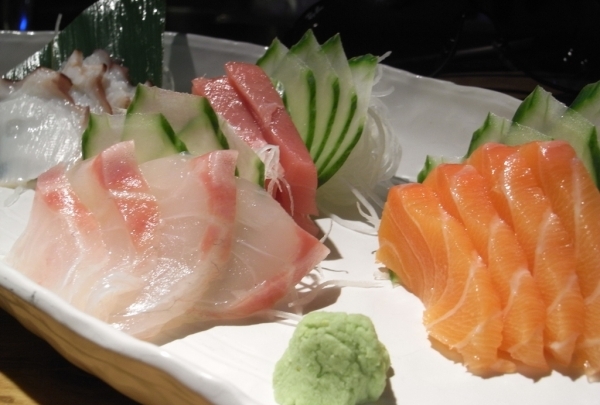 Share tapas-style dishes at this hip sushi and sake lounge. The cozy ambiance and grown-ups only policy makes it a date night favorite. Award-winning chef Saran “Peter” Kannasute heads the culinary team at this ultra-chic sushi restaurant in Del Ray. Offering a selection of innovative small plates in a lounge setting, the Sushi Bar is the ideal restaurant for a romantic meal for two. Dine on creative seafood dishes like the octopus salad and the Kamikaze Roll, with spicy crab, avocado, red tempura and crunchy potatoes. Choose from over 20 sake labels from the fruity Kaika Kazenoichirin to the full-bodied Otokoyama to pair with your meal. Get here early to avoid the wait as the restaurant doesn't accept reservations. Dine overlooking the Potomac at this trendy nautical-themed eatery with three patios, an oyster bar and live music from Wednesday to Sunday. Effortlessly transitioning from day to night venue, Blackwall Hitch features plenty of natural light, summer-friendly lunch options and views of the glittering Alexandria Marina. Their chic decor reflects the seaside location with a casual vibe ideal for conversing with friends over seasonal eats and creative drinks. Choose from house-made soups, field-fresh salads, gourmet sandwiches and seafood specials like mahi-mahi tacos, crab-crusted local rockfish, and crispy soft shell crab sandwich. 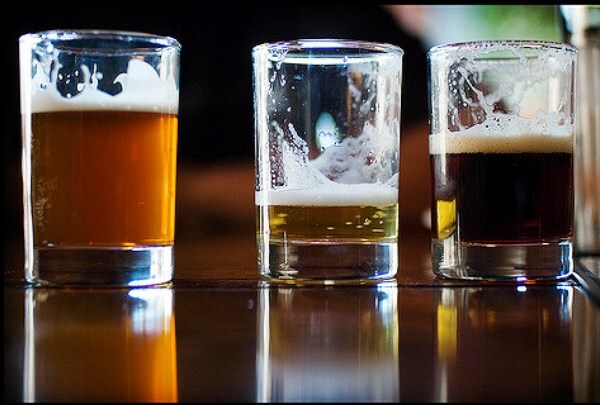 A selection of 20 craft beers, fine wines and specialty cocktails are the perfect accompaniment to any meal. Head up to the Crow's Nest bar for post-dinner drinks and soak in the amazing panorama as you tap your feet to the lively music. 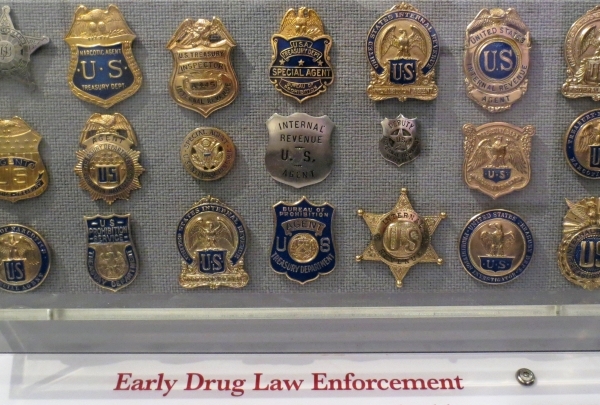 Stop by the DEA Museum for a glimpse into the history of the agency that has spearheaded America's 'War on Drugs' since 1973. Located just across the river from the United State's capital, the Drug Enforcement Administration Museum & Visitors Center lets guests get a better idea of the essential functions and history of this governmental agency. Visitors can get a glimpse of the early day's of the agency's founding at the command of Richard Nixon in 1973, up to its modern day operations. Several historical items and bits of confiscated contraband are on display in the museum, including a motorcycle taken from a convicted Hells Angels member. This bar's expansive interior resembles a warehouse. 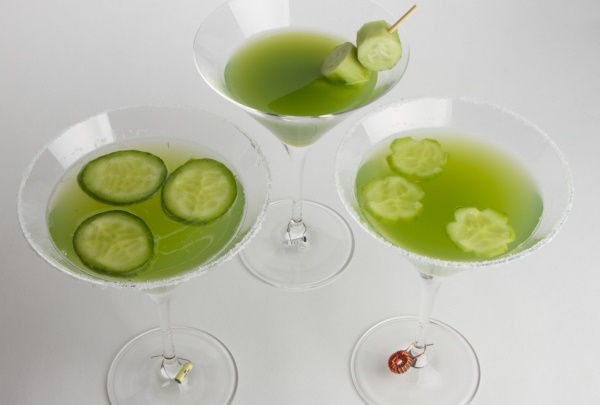 Sip on exquisite cocktails while you work or lounge with friends. This 7000 square foot space creates an industrial-chic ambiance with graffiti art, huge open spaces, and a retractable wall that transforms a section of the interior into a patio during warmer weather. Long tables dot the floor plan, creating communal spaces where visitors can enjoy delicious food and an ice cold craft beer together. You could just as easily visit with friends or bring your laptop and enjoy a lively atmosphere while you work. Experience old-world sophistication at this historic parlor with the finest whiskey and cigar pairing, accompanied by live jazz and blues. Basin Street Lounge has been a blues landmark in Old Town Alexandria since 1979. Located upstairs at the elegant Two Nineteen Restaurant, this lounge attracts a sophisticated crowd of cigar and scotch aficionados. It plays host to an array of swing, acoustic jazz and blues performances by local and touring musicians. 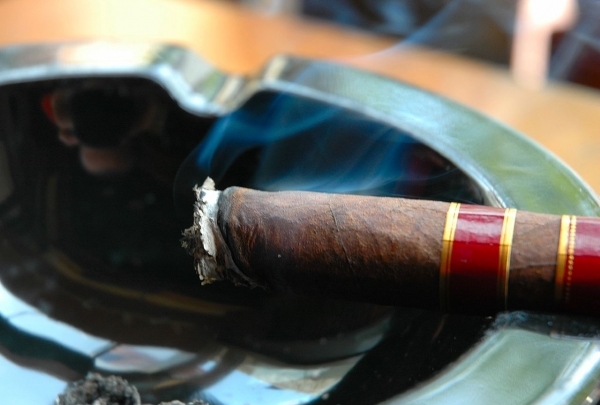 Their drinks list features a fine selection of whiskey that blend well with their cigar collection. Fine art paintings and Victorian elements in the decor create an old-world charm. 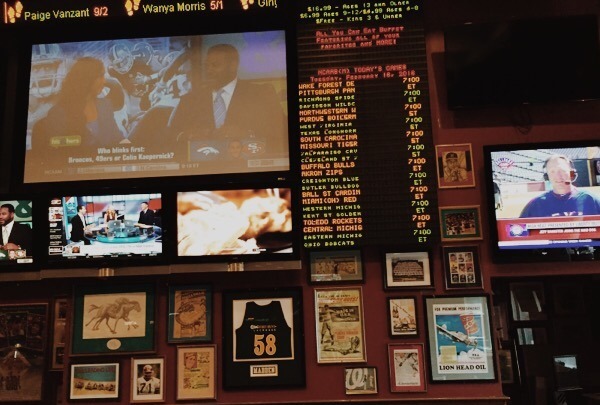 A sports bar in the middle of Crystal City’s 23rd Street “Restaurant Row” offering sports entertainment for every taste. This sprawling three-level bar is one of the area's best-known gathering spots for college sports fans. There are more than 100 TVs, including three giant projection screens on the third-floor "Club Level." There's so much going on that the bar posts guides online and at the front door to tell customers the general area where their game will be shown. Looking for unusual and unique gifts? 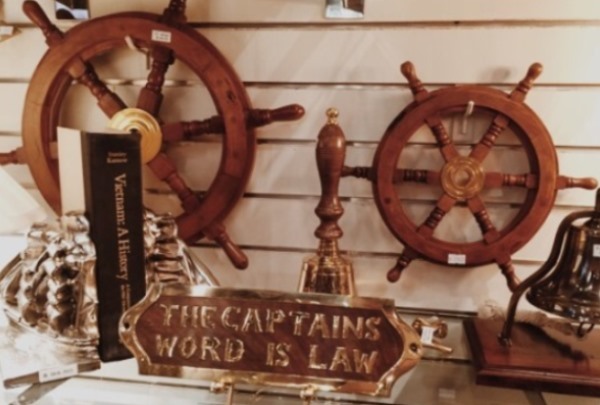 Here you’ll find nautical antiques, ships’ clocks, barometers, lanterns, and more. Located just steps from the entrance of the Crystal City Metro station, Ship’s Hatch is the place to discover unique and unusual retirement and promotion gifts for all branches of the military. Their expert staff can even custom embroider U.S. Navy ship ball caps for any ship that has ever sailed. That’s quite a statement since there are about 16,000 ships in our history! 40 local artists have a unique and intimate environment in Crystal City’s “Underground” to show off their creations. 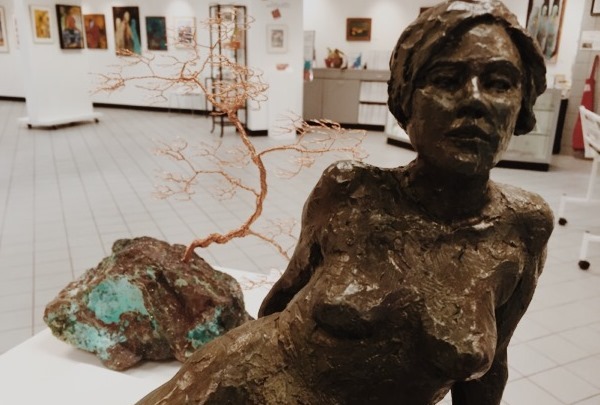 Gallery Underground features works from 40 local artists using a broad array of materials and mediums, including oil, acrylic, watercolor, collage, pottery, glass and sculpture. Exhibits rotate monthly to emanate energy, stimulate creativity, and encourage repeat visits. An opening reception on the first Friday evening of every month provides you an intriguing opportunity to meet featured artists. 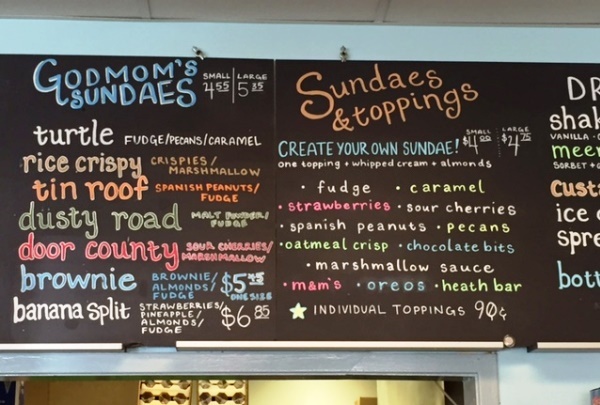 A local area favorite known for Wisconsin-style frozen custard, delicious dairy-free sorbets, and exotic ice pops! The Dairy Godmother features a daily flavor of fresh Wisconsin-style custard and sorbet, as well as a custom-blended traditional vanilla flavor. When you order, they blend by hand the day’s ingredients with the custard as it is scooped from the bucket. Since it is freshly made, this custard is served at a temperature of 17-20 degrees. This allows the custard taste to really come through. 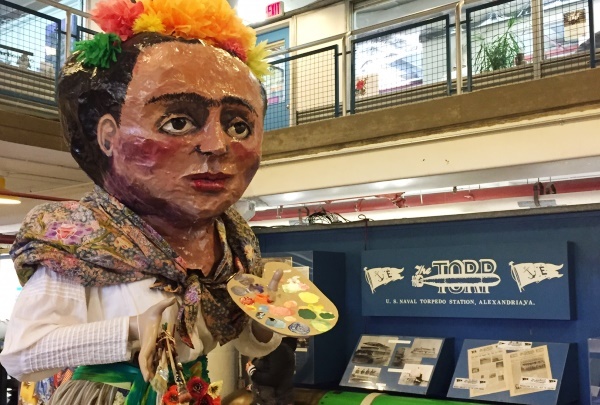 Wander through this former torpedo factory and discover artwork of over 165 artists as they create in their own studios. A former torpedo factory (yes, torpedoes were once manufactured here! ), the Torpedo Factory Art Center overlooks the Potomac River in Old Town Alexandria. It attracts artists from across the region and around the world and has served as a prototype for visual arts facilities throughout the world. Stop in and visit over 165 professional artists as they work, exhibit, and sell their art. This is a comfy place to spend some down time with a book or people watch while sipping a coffee along with a muffin. 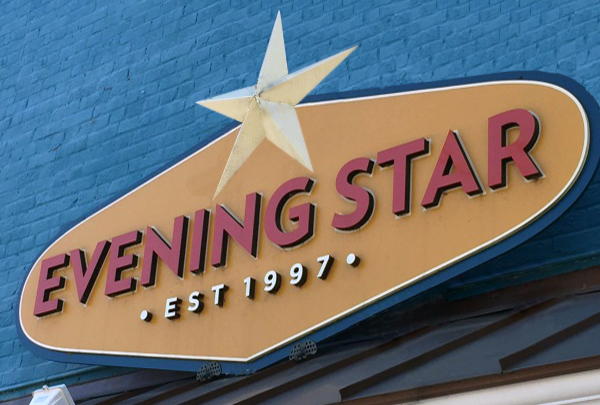 Located in the heart of Alexandria’s Del Ray neighborhood, St. Elmo’s Coffee Pub (known locally as Del Ray’s Living Room) is a community gathering spot featuring art by local artists and live music. In addition to coffees and teas, the pub serves up fresh donuts, pastries, sandwiches, and salads. You can catch live music every Thursday evening from 7:30pm until 9:00pm. A historic warehouse in Old Town Alexandria converted into a casual spot that is an airy and comfortable place to dine. 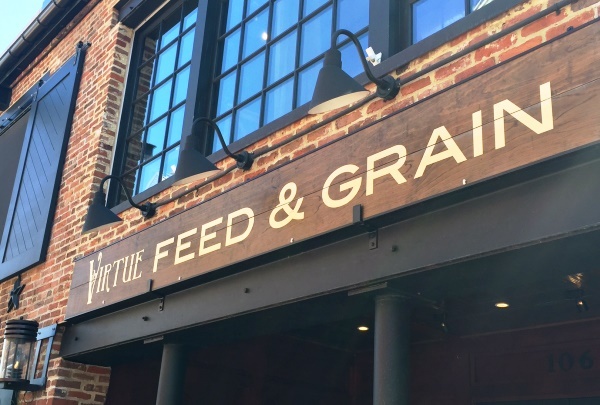 This popular restaurant takes its name from its former function as a feed house. Soaring open windows, exposed brick and giant iron girders frame the urban scene. In keeping with the unique history of the building the owners went above and beyond to preserve authenticity. The floors, walls, hand-crafted tabletops, and bar shelves are constructed with period wood, each heralding from a unique past. 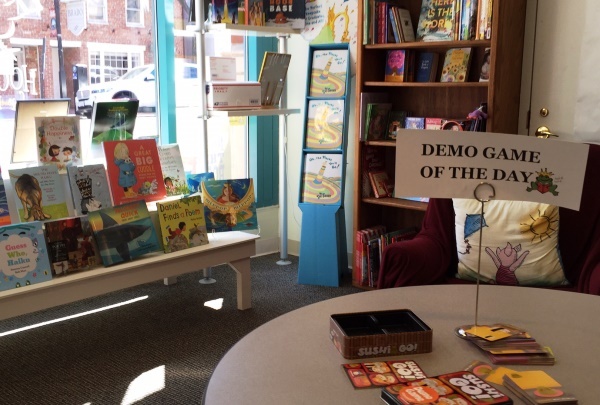 One of Old Town’s most cherished independent bookstores, Hooray for Books puts excitement back in children’s literature. As an independent bookstore, Hooray for Books! takes pride in knowing children’s books. It offers a large assortment of novels specifically for children and young adults. The store is structured just like a library with each book shelved and ready to be purchased. If you can’t find the book you are looking for or just need some recommendations, look to their knowledgeable and helpful staff. An anti-sports bar where women in particular come for good conversation, great wine and good food. ScrewTop is a favorite of local Clarendon residents, women in particular, who are looking for place to come with their girlfriends for good wine, girl talk, and great food! 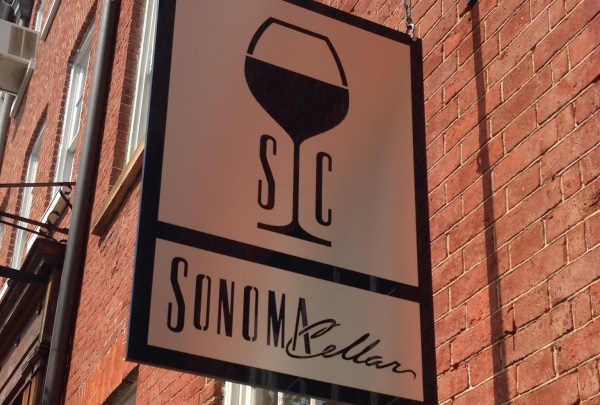 The owner is a perfectionist when it comes to the wines she purchases, as well as the cheese and menu items she pairs them with. The menu is updated regularly, as are the 40+ bottles of wine tat can be purchased for take-out. Want the feel of a Hawaiian beach? 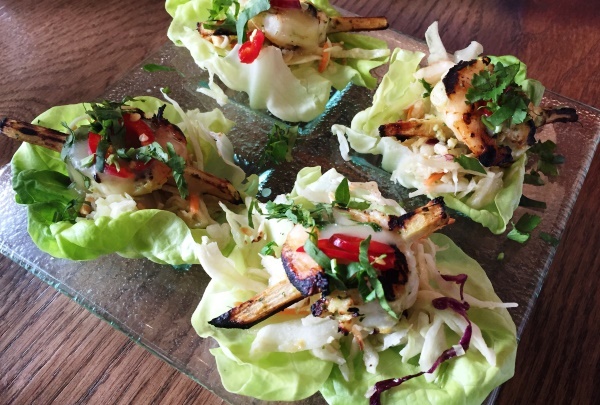 Head to Hula Girl for traditional Hawaiian dishes along with a mini-umbrella drink! Hula Girl started out as a food truck and became so popular with DC’s lunch crowd that the owner decided to open their first sit-down restaurant in Arlington. Here you will find familiar items such as plate lunches and Spam Musubi (rice & spam wrapped in seaweed), but also offer more chef-driven, Hawaiian inspired dishes. 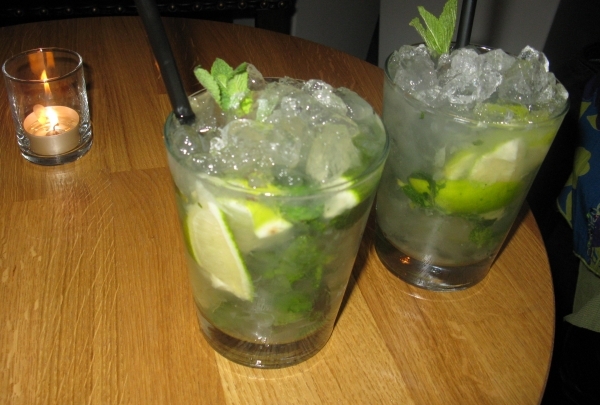 You can also enjoy Hawaiian drinks and a mix of local and Hawaiian beers. The two buildings, the tavern built in 1785 and City Hotel built in 1792, are listed as National Historic Landmarks. Located across from City Hall in Old Town Alexandria, this 18th century tavern and hotel where George Washington, Thomas Jefferson, James Madison, James Monroe, and John Adams hung out. 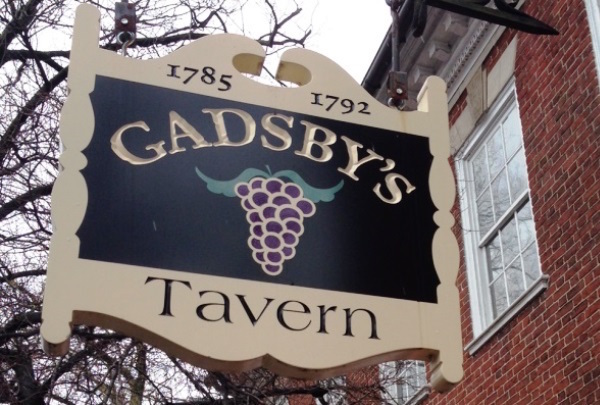 Gadsby's was a center of political, business, and social life in early Alexandria. In the tavern restaurant, you can still dine by candlelight, served by Colonial-dressed staff and entertained by period musicians. Step back in time as you visit the plantation house and gardens of George and Martha Washington overlooking the Potomac. 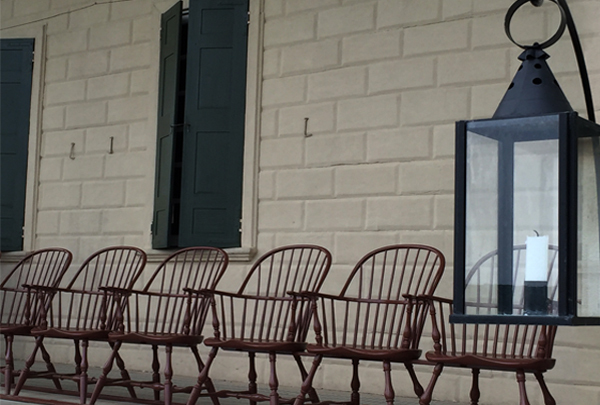 There is so much more to see than just the plantation mansion where George and Martha Washington lived. Make a full day of it at this historic area overlooking a beautiful stretch of the Potomac River, featuring the restored mansion, original outbuildings, the tomb where the Washingtons are buried, beautiful gardens, and heritage breed animals who work at a four-acre farm site near the river. 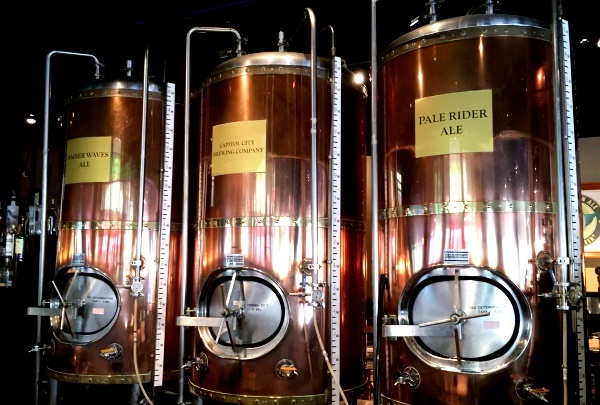 At Capitol City Brewing Company, brewers oversee each step of the process and visitors can sample fresh beer. From a table overlooking the brewing process, watch on-site brewmasters create flavorsome ales, lagers, and even pilsners. Brewers are involved in the brewing process from start to finish, thus making freshest beers quickly available to the patrons. 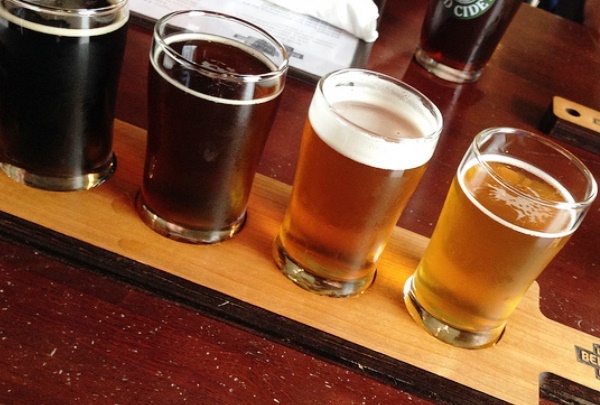 Enjoy their “Signature” beers year-round or try some great seasonal brews created from recipes found all over the world. Discover a spot to relax steps from the hotel. Crystal City’s Water Park is an oasis of tranquil waterfalls & fountains. Just a short stroll down Crystal Drive, Crystal City’s Water Park offers the tranquil sound of waterfalls and fountains among beautifully landscaped grounds. 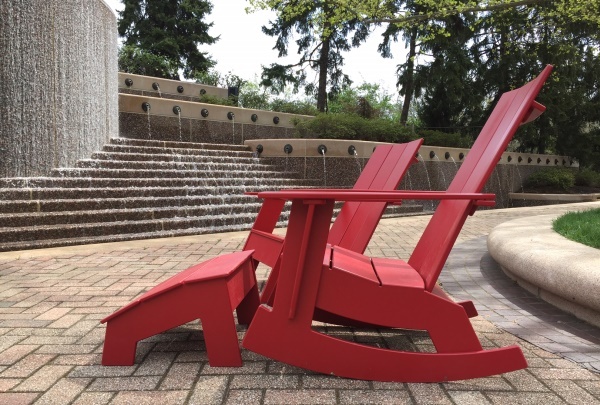 Have a seat in one of the bright red Adirondack chairs or grab a table for a bite to eat from the snack bar. Yoga and Zumba classes also take place frequently on the park's grounds. This intimate, Tony Award-winning regional theatre presents bold productions of challenging new and established works. Discover Signature Theatre’s take on classic productions as its team produces contemporary musicals and plays, reinvents classic musicals and develops new work. 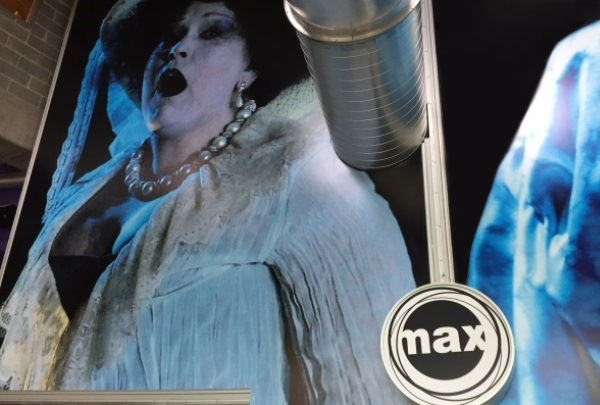 The theater is well known for its inventive adaptations of forgotten works, but it shines with its elaborate musical productions. Stages are carefully reconfigured for each show to allow theatre-goers an intimate, close-up experience. This boutique’s charming mother and daughter team excel at finding the perfect hat for both men and women. 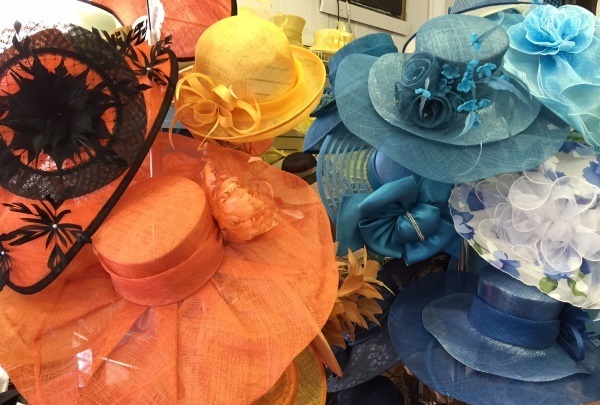 Willie Mae and her daughter own and operate this boutique hat shop, which has been housed in the same location for over 25 years. Tops is a small gem of a store jam-packed from floor-to-ceiling with an astonishing selection of hats for both women and men. The expert staff will quickly size up your hat-buying needs and make sure you leave with the perfect hat for you. The Cookery serves up food made by small-batch producers in a warm Mediterranean country farmhouse atmosphere. After her first trip to Europe in 1979, The Cookery owner’s personal tastes were extended into a lifestyle based on fresh flavors, local, all natural ingredients and simple recipes. She continues to travel the world and returns with fresh, wholesome products and recipe ideas bursting with flavor. 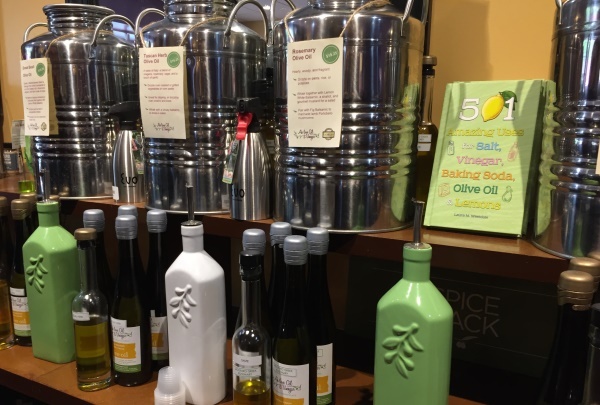 Visitors can browse her collection of hundreds of olive oil and balsamic vinegar. 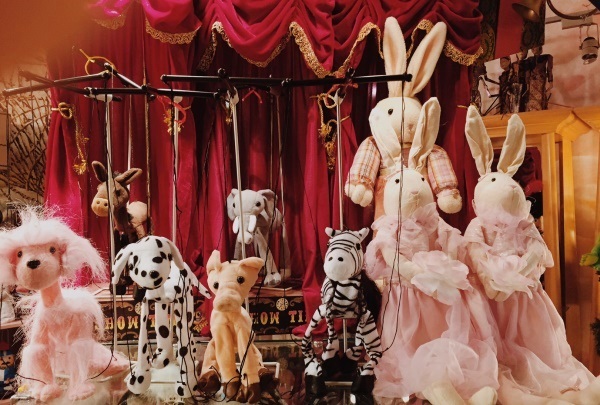 This unique and delightful shop appeals to kids and the young at heart with an amazing array of puppets. The owner of Puppet Heaven sells an amazing array of puppets and is also a puppeteer who has done shows throughout this country and around the world. His tiny shop is packed with a variety of hand, finger, marionette, and shadow puppets from all over the world. If you're lucky, he may even give you a brief performance or lesson on how to use your new purchase! A hidden gem in the Del Ray neighborhood of Alexandria offering a relaxed ambience and a menu that changes seasonally. 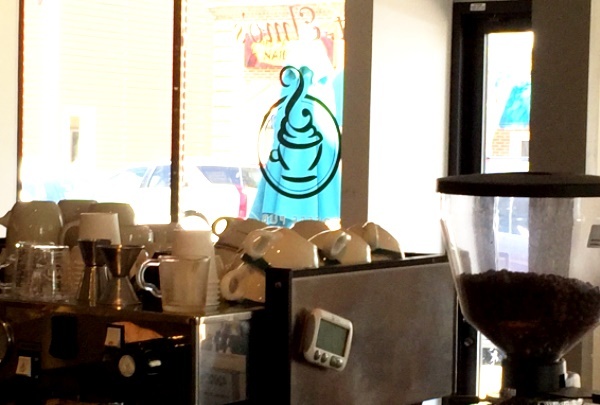 This cute cafe in the Del Ray neighborhood of Alexandria has a fiercely loyal following of local residents who have been coming here for years. The atmosphere is relaxed and very comfortable. The American menu offers a variety of selections and changes with the seasons, using what is grown and raised in this region. In season, they even harvest fresh produce from their very own rooftop garden. Experience food, art & fun in an artistic space while savoring flavors from around the world. If you are looking for a unique place to sample foods from around the world, then Palette 22 is where you should go. Vibrant murals and original artwork cover the walls of a large space with polished concrete floors and exposed steel fixtures, creating the atmosphere of an artist’s studio. On most evenings, you will find a working artist creating their next masterpiece in the space. Enjoy this 1920s-style lounge nestled in a historic building where intimacy and exclusivity reach new levels. You’ll find no sign marking this popular speakeasy in Old Town Alexandria, just a blue light above a plain door indicating they are open. This 1920s-style lounge is found in a historic building with all of the original wood work and sparkling chandeliers intact for a truly classic experience. The sophisticated, hand-crafted cocktails are simply amazing! Enjoy a winter wonderland all year round in this 18th-century tobacco warehouse turned into an enchanting shop. For over 35 years, this family-owned shop has been warming the hearts of customers of all ages. Step into this magical place any time of the year and feel the holiday spirit. 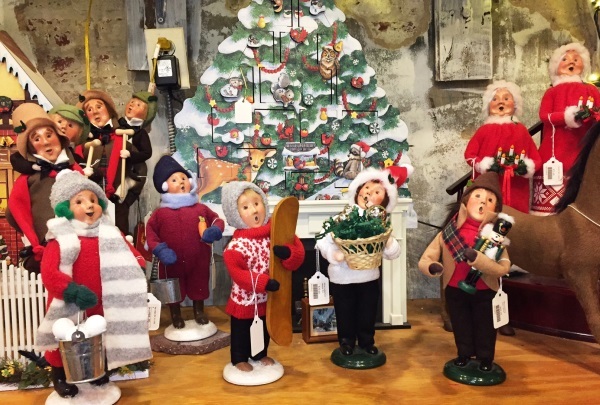 This delightful shop is loaded with Christmas ornaments and decorations of all kinds. It features many hard-to-find items, including hand-blown glass, hand-painted figurines, and collectibles found in European markets. Celebrate the artistry of cocktail hour with this shop’s broad collection of vintage glassware and barware. 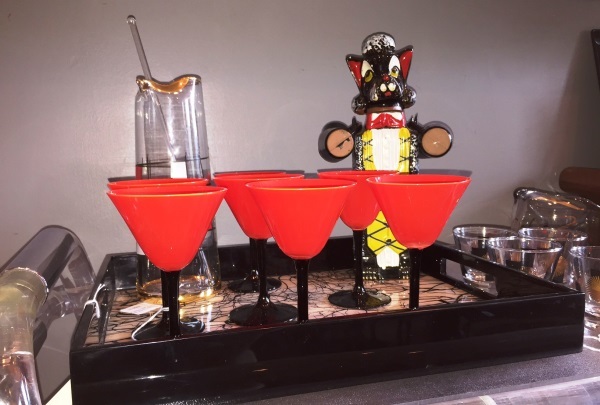 The owner of this chic shop has been collecting vintage glassware and barware accessories found in estate sales, auctions and even flea markets for over 25 years. The ever-changing inventory of over 10,000 unique pieces is 80% vintage from the 20s, 30s and 40s, offering a cool nostalgic look. The knowledgeable staff at The Hour is always happy to help you find the perfect item to match your needs. 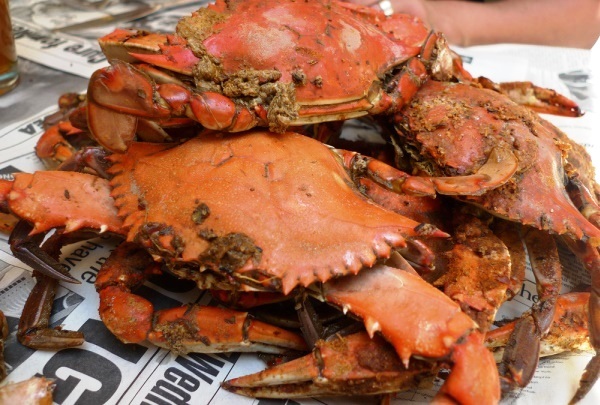 Experience an authentic Maryland Crab Feast and join the locals at this very fun, come-as-you-are crab house. For over 30 years, this has been the "go to” destination for an authentic Maryland Blue Crab Feast. Go with a group, nurse a cold beer, and order the "all you can eat crabs," which are served on a large tray then dumped directly on your paper-covered table. Everyone digs in with mallets in hand, as well as knives and buckets for the non-edible parts. You can't help but have a great time! Enjoy a night out with the locals for lively entertainment and no cover charge at this authentic Irish pub in Old Town. The bartenders greet every guest with a warm welcome as if they were a regular. And Murphy’s has been around for over 35 years, making it a favorite Irish pub for Old Town Alexandria regulars to enjoy nightly live entertainment or just relax around the cozy fireplace with a beer. Head to Murphy’s for a fun night of trivia on Tuesdays and compete with the locals for exciting prizes. Relax in an intimate environment that shines a spotlight on the talents of local authors over good food and drink. 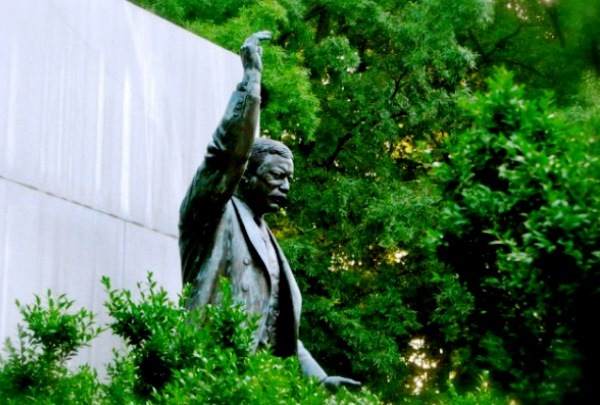 As an independent, local bookstore, Busboys and Poets offers people an intimate setting that has become very popular with visitors, neighbors, and residents in the surrounding communities. This is a special place where the local community can come together to learn about the great artistic, cultural, and political developments of our time with shared conversations over good food and drink. 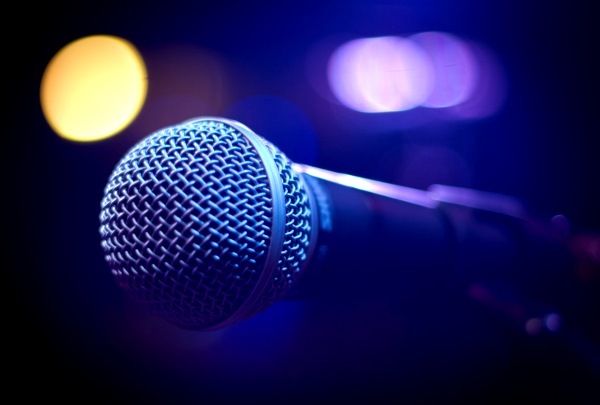 Relax with friends and enjoy a night of fun singing along with locals as karaoke takes center stage here 7 days a week. Rock It Grill rocks with karaoke seven nights a week. Come as you are and prepare to have tons of fun. Karaoke is the top draw here and it's a great spot for a group of friends no matter your talent level. There are all types of singers from borderline professional singers to drunken horrible versions of Summer Nights. Not into song and dance? There are two pool tables and dart games to enjoy. A truly unique gem of a shop specializing in handmade artwear and specialty items created by artists from around the US. 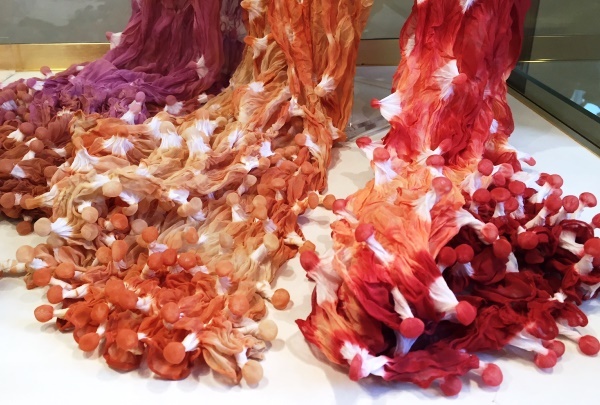 Located in Old Town Alexandria for nearly 30 years, the two fashionable ladies that run this gem of a shop search the country for imaginative artists who create one-of-a-kind contemporary pieces that will enhance any woman’s wardrobe and anyone’s home. This boutique is packed with the talented American weavers, artists, carpenters, etc. Experience Uyghur cuisine and culture from the original “Silk Road” in Northwest China, formerly known as Turkestan. There are a number of international dining options in Crystal City, however, Uyghur is a type of cuisine not readily recognizable to most. It is best described as Chinese favorites with Middle Eastern flavors. 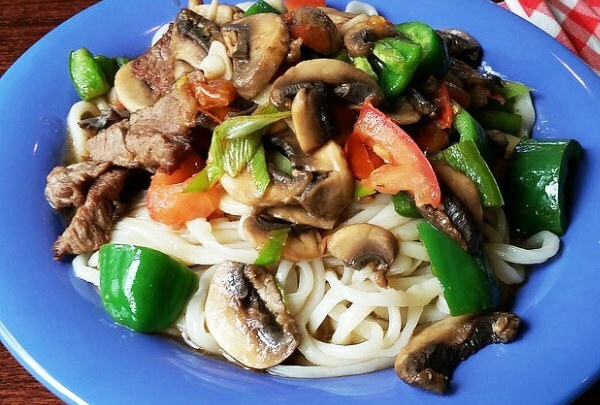 Queen Amannisa preserves the traditional cuisine of this area of Western China, also known as the “Silk Road”, with dishes of kebabs and noodles that you have probably never tasted before. Imagine traveling back in time to the late 18 century and attending services in the same church as George Washington. 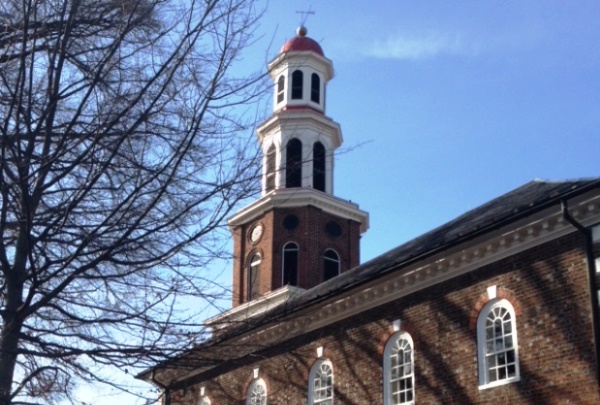 Discovering Christ Church in Old Town Alexandria is like taking a step back in time to 1773 and imagining what it was like to attend a worship service with the likes of George Washington. Be sure to check out the beautiful churchyard out back where you’ll find pre-Civil War grave markers as well an inconspicuous dirt mound covered with ivy that is the mass grave of Confederate prisoners of war. 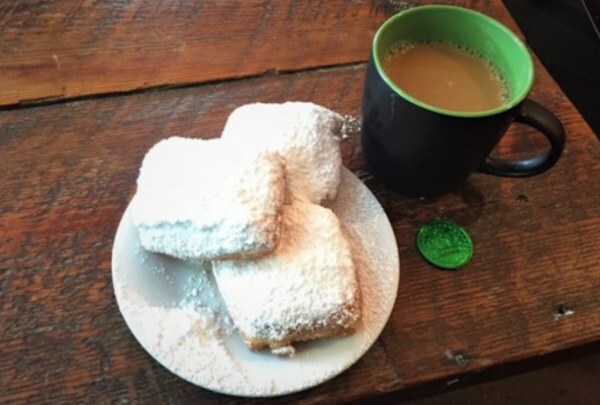 Visit here if you have a craving for freshly-made Beignets along with a Café Au Lait and a touch of New Orleans culture. 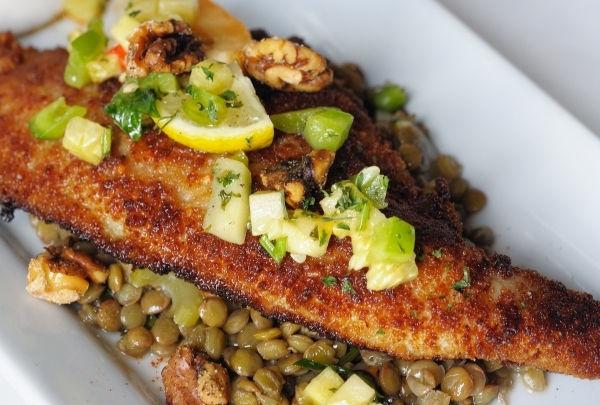 New Orleans born Chef David Guas offers delicious Louisiana-style favorites in a comfortable, funky setting that will tempt you to slow down and simply enjoy. The place has plenty of character and tons of visual cues of N'awlins, like multi-colored shutters above the bakery case. Seating options are plenty, including a very comfy leather sofa and chairs surrounding a large wooden coffee table. Offering a 360 degree view of Washington DC and the surrounding area from the 33rd floor. 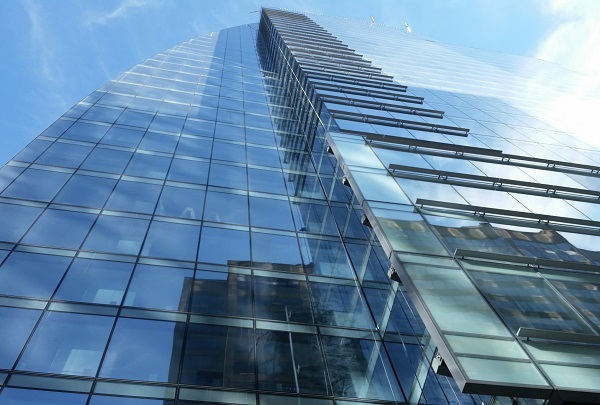 CEB Observation Deck is for individuals who would like to view the Metropolitan Washington DC area from high atop. Take a guided tour and step outside on the upper deck to see the wonders and majesty of the nation's capital. An emporium devoted to food including several concepts all in one cozy location. Old Town Alexandria is the location of this exquisite boutique in which food is the main attraction. Society Fair offers an abundance of freshly prepared dishes including meats, delectable desserts, specialty wines, unique beverages and other morsels to satisfy your tastes. Featured are date night bags and demo kitchen events with four-course meals and wine. 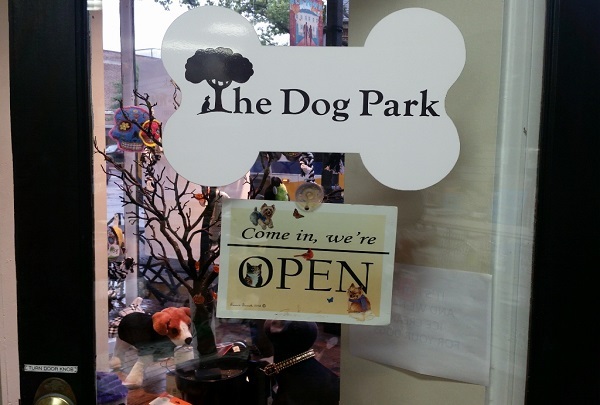 A treasure trove of a shop that is brimming with all kinds of treats, accessories and toys for your beloved pets. Upon entering this quirky and colorful shop you will likely be greeted by the Owner, who will enthusiastically inform you about the many items available for your pets. The shop is a must for all pet owners in the local area. Upon entering there will be pet treats and you are encouraged to browse. The food for dogs and cats is naturally produced. The treats are produced in the United States. 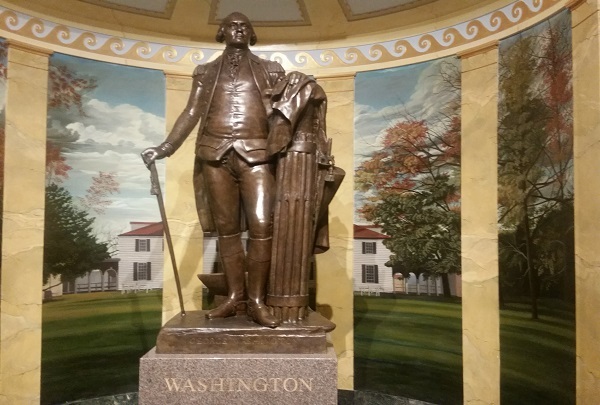 A National Historic Landmark Memorial celebrating the Freemasonry contributions of President George Washington. Sitting atop a prominent hill in Old Town Alexandria this memorial was designated as a National Historic Landmark and added to the National Register of Historic Places in 2015. The memorial is a celebration of George Washington as one of the original members of the elite fraternity of cultural, political and intellectual members of society. A chic but friendly chocolate boutique offering artisan in house created chocolates that are distinctive and unique. Located in Old Town Alexandria in an exquisite beautifully restored one hundred year old building that offers a wonderful setting for the meticulously created artisan chocolates that are prepared at the shop. Stop in and select from among the many decadent choices. The Past is the Present at this niche shop selling gifts that celebrate the charm and history of Old Town Alexandria. The motto of this unique and friendly shop located near the Potomac River in Old Town Alexandria is “Where the Past is your Present”. The owner, Valerie Lanieri, sought to create a niche shop in Old Town of locally-branded and local vendor sourced gifts and memorabilia. A nautical theme area of the shop celebrates the legacy of Alexandria's past as a quintessential Port City. 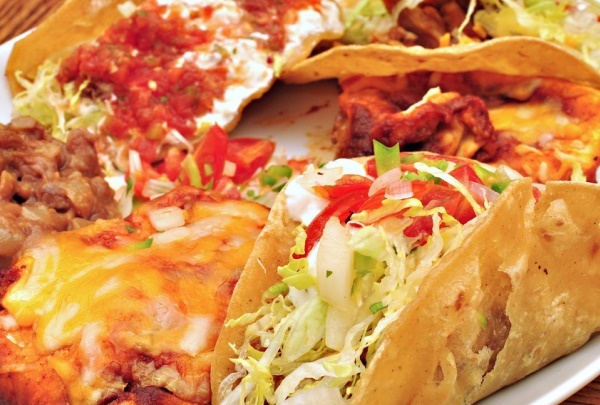 An authentic Tex Mex Salvadoran Restaurant. Enjoy decor, artwork, music and food of Texas, Mexico and Central America. Created by a husband and wife team, 14 years ago, in the Del Ray neighborhood of Alexandria, this festive spot offers authentic Tex Mex and Salvadoran food. Heaping plates of their signature Los Tios Fajitas accompanied by freshly made flour tortillas, refried beans, and homemade guacamole please the palate. 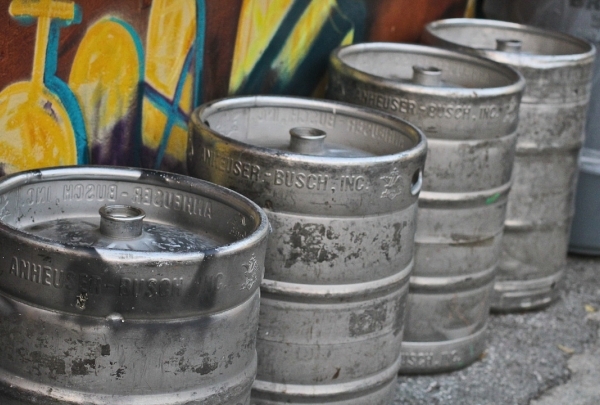 A large selection of Mexican beers, fruity sangria, and live musicians add to the allure. Shane attacks his guitar with passion and sings jangly songs about the good times with a distinctly American feel.